How to Make Fluffy Slime- The Best Slime Ever! The slime craze has hit our house. We’ve made all kinds of slime recipes, both with Borax and without! 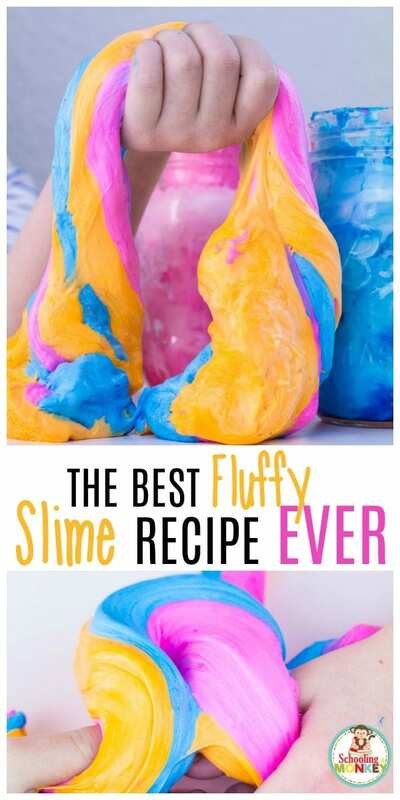 Our latest version is the best fluffy slime recipe ever, and we had so much fun making and playing with it. My daughter even took it in a plastic bag to play with friends and it was the hit of their tween sleepover. The girls called it the best slime ever. Because of the shaving cream, this fluffy slime has a nice scent and leaves your hands feeling soft and conditioned! This recipe for how to make fluffy slime is definitely the best fluffy slime recipe that we’ve tried. Check out the full list of summer slime recipes! 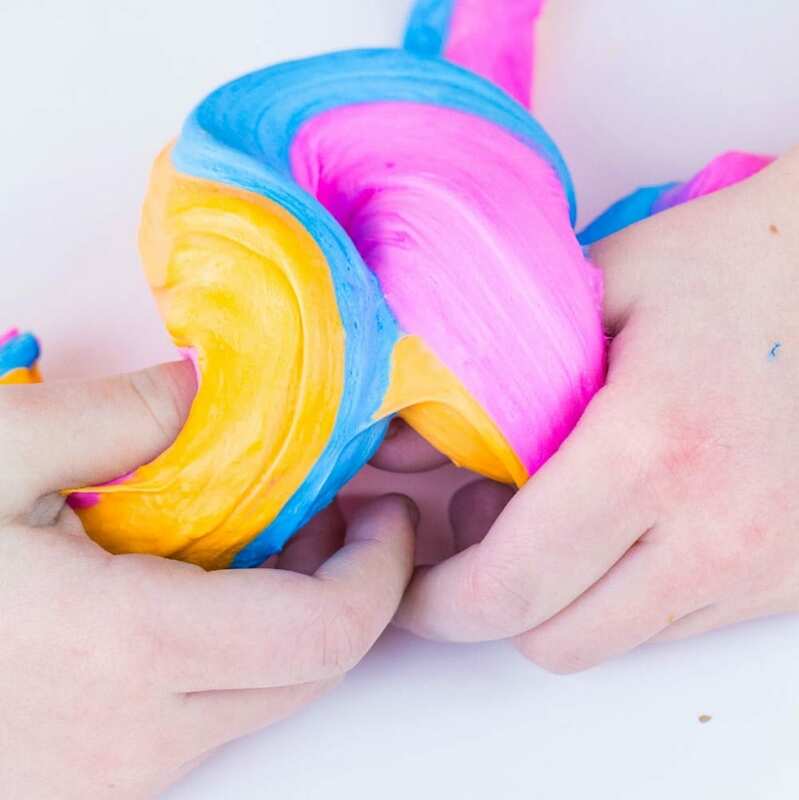 If you want other versions of our favorite slime recipes, try making borax slime, laundry starch slime, or baking soda slime! 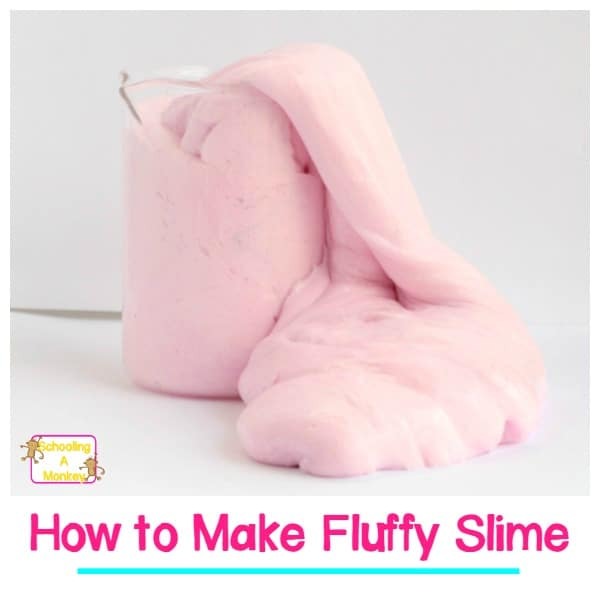 Read on to see how to make the very best fluffy slime recipe! And don’t forget to try our other fluffy slime recipes, apple fluffy slime, ice cream fluffy slime, and patriotic fluffy slime! You’ll learn how to make fluffy slime in no time! 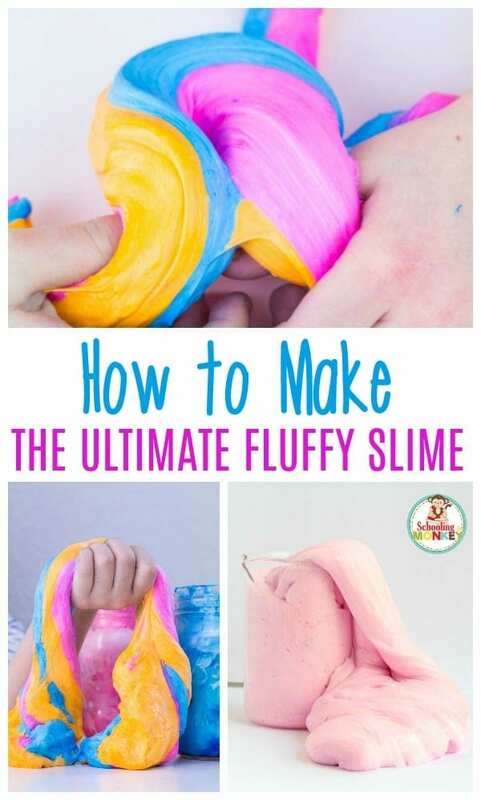 Struggling with how to make fluffy slime? 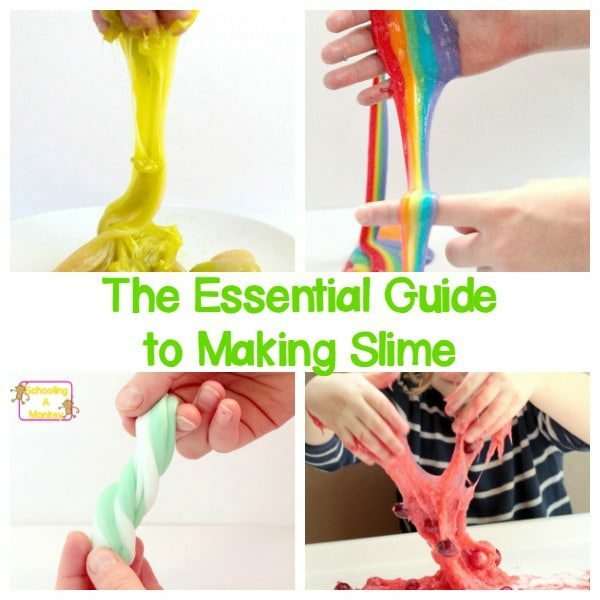 Get all the tips and tricks to make it right in the Slime Made Easy e-book! Slime is made when boron mixes with the polymer chains in the glue, creating strong, but flexible bonds between the molecules. When you add shaving cream into the mix, you get a whole new element of fluffy slime fun! The shaving cream gives the slime a puffy texture, which is so fun to squeeze and stretch. 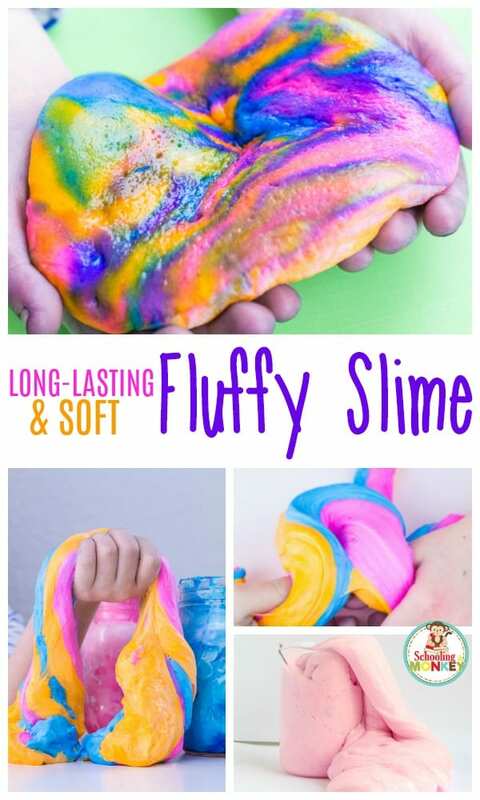 My kids prefer fluffy slime to any other slime recipe! 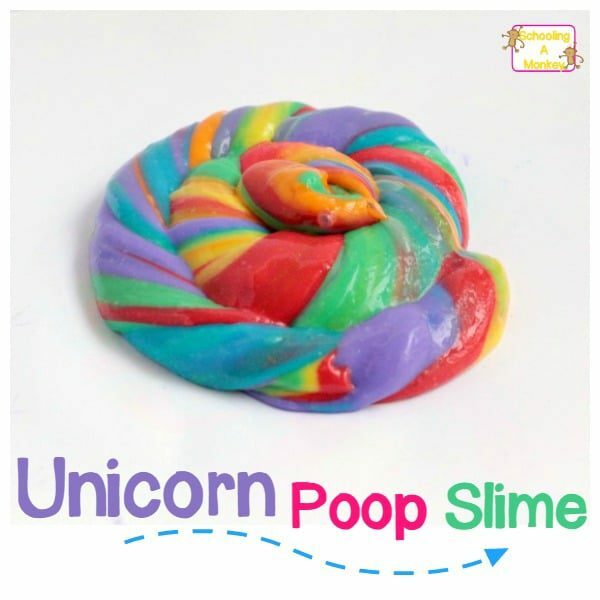 If you have a sensitivity to it, you may want to try our baking soda slime instead. 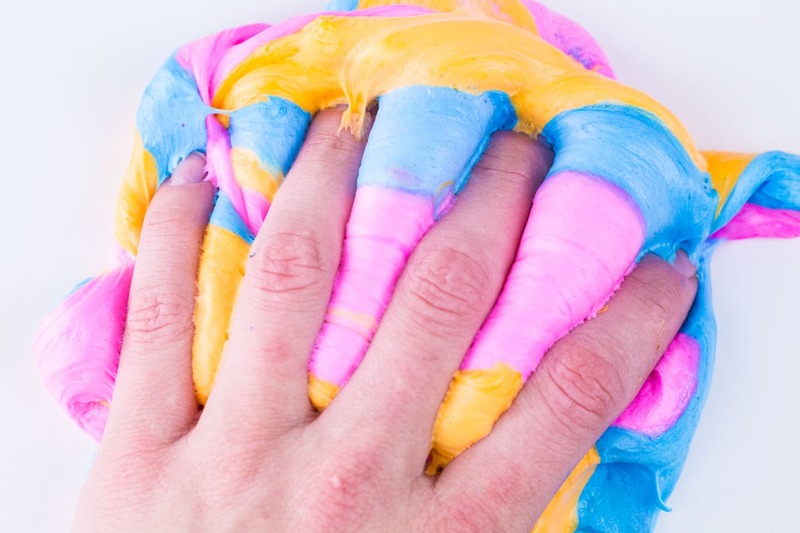 If this is your first time making slime, you should follow along with our post on slime troubleshooting. 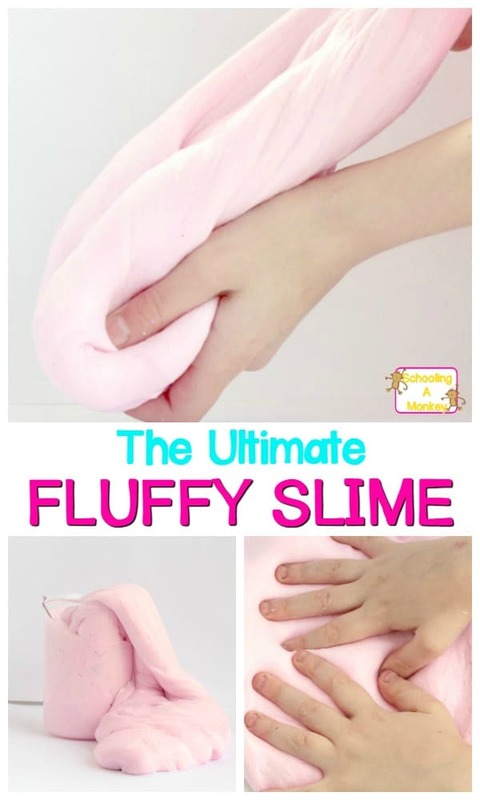 Fluffy slime is not the easiest slime to make. Liquid laundry starch slime made with clear glue is the easiest slime recipe. When you add in shaving cream, the chemical balance is a little different and the tendency will be for the slime to be a bit stringy and sticky at first. There are ways to make fluffy slime less sticky, which I discuss in my slime troubleshooting post, but in general, if you work through the stringiness and your ratios are correct (as outlined below), then you will end up with perfectly fluffy slime and you won’t have to throw it out. Keep adding a little bit of sta-flo at a time, and your slime will soon be soft and stretchy, and no longer sticky. If you don’t want to waste a lot of ingredients, try mixing up a small batch first to make sure you won’t have to tweak it before you make the larger version. We always stock up on gallon sizes of glue and the large laundry starch just in case something goes wrong (but it almost always goes smoothly). 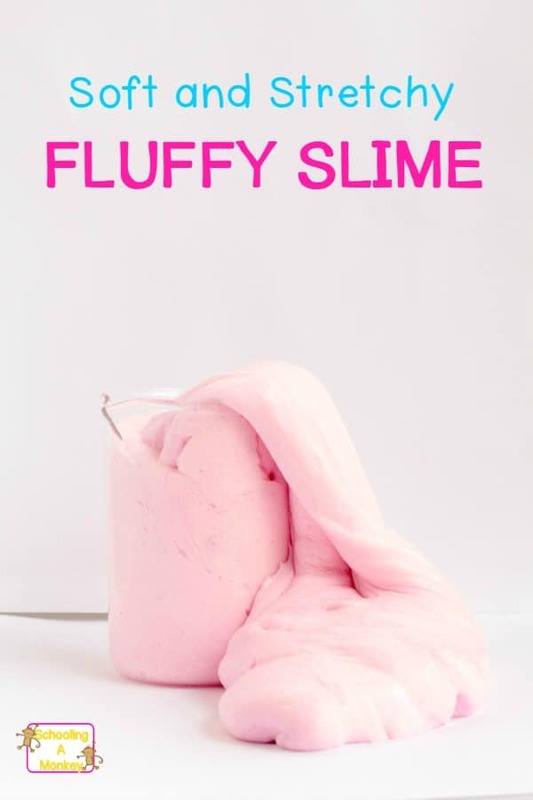 This fluffy slime is made with laundry starch, which does contain some Borax. 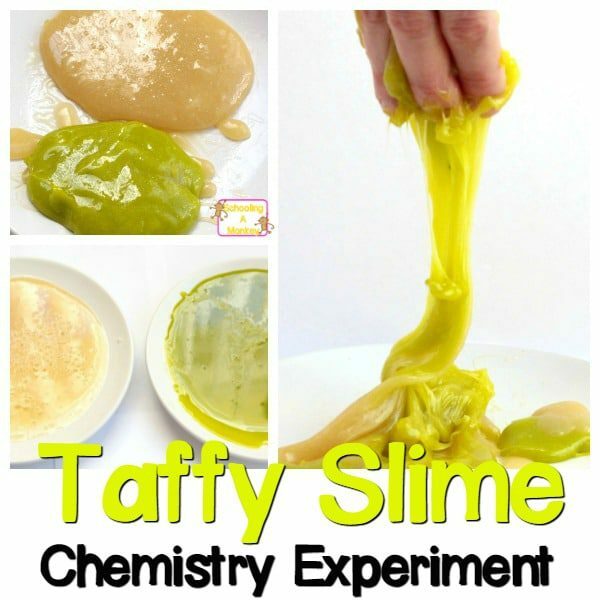 If you would like a completely Borax-free slime, try this version! Some people have reported itchy skin after mixing shaving cream and laundry starch. However, using the Barbasol white shaving cream seems to lessen any potential reaction. 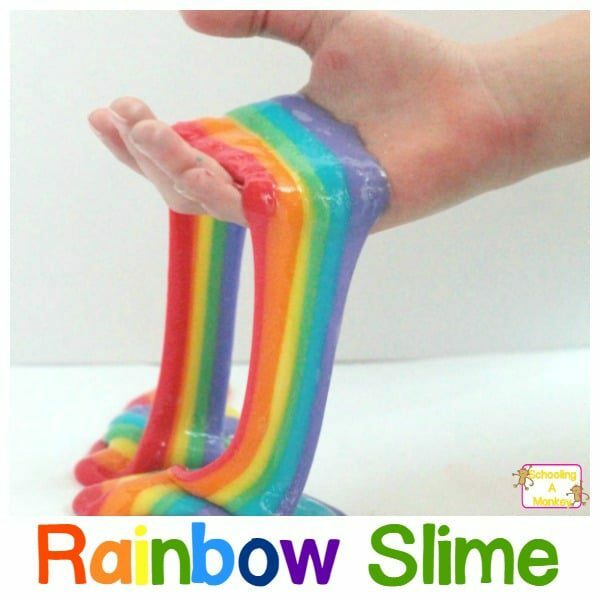 However, if you notice your skin getting itchy or red after playing with this slime, stop immediately. Also remember, brand matter when making slime. Your results will vary if you substitute ingredients, and in some cases, slime might not form at all. Of special importance is the use of Elmer’s school glue for quality, stretchy slime. Try making this fluffy slime with a galaxy slime theme! Follow these directions and you’ll soon know how to make your very own fluffy slime recipe. How do you make fluffy slime? Follow along with our step-by-step guide to make your fluffy slime recipe. 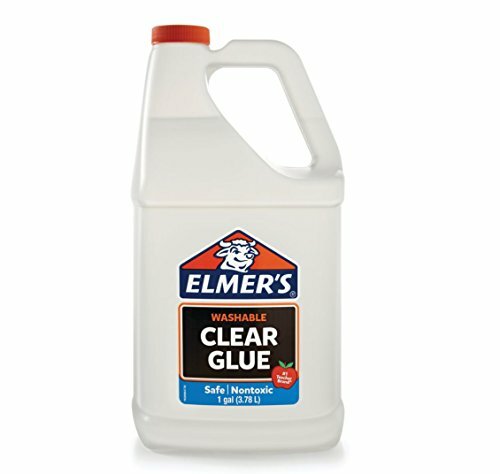 Add two, 4 ounce bottles of Elmer’s school glue to a large container. Add whatever food coloring you like. We used pink. 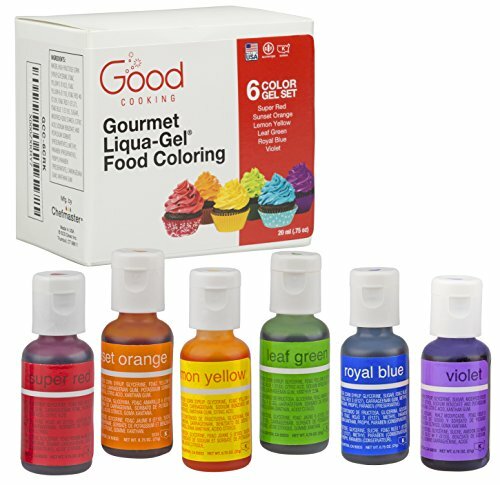 We like using this brand of food coloring because it always produces bright colors. Mix. Add two cups of shaving cream to the glue mixture and stir. Add about half a cup of the laundry starch to the mixture and stir. 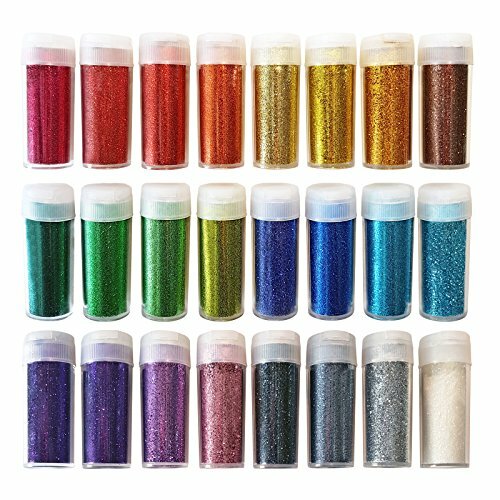 It will start to form polymer chains almost immediately. 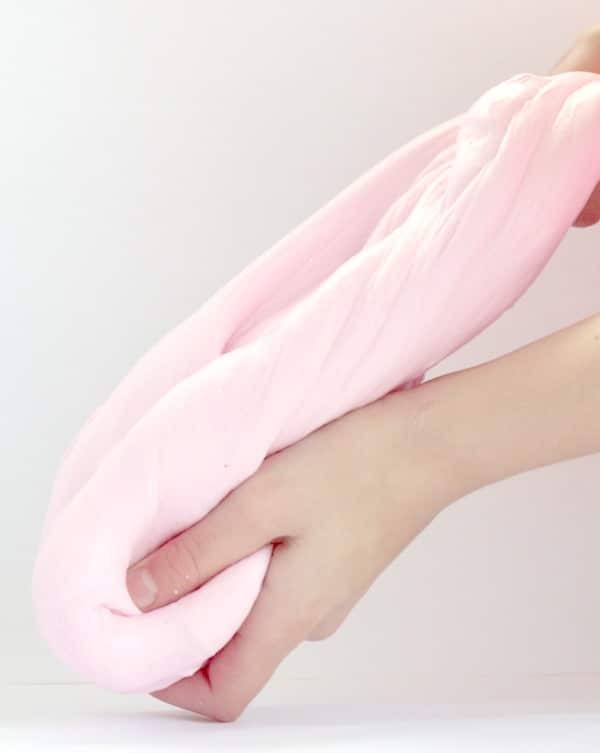 If your slime is still sticky to the touch, add a bit more laundry starch until you can stretch and play with it without the fluffy slime sticking to your hands. If your mixture turns out stringy, keep mixing. After about three minutes it will become a solid mass of fluffy slime and will no longer be stringy. The slime is so soft and squish; it’s the best fluffy slime ever! You can make any number of fluffy slime color combinations. This pink, blue, and orange version reminded us of a sunset! « The Teacher’s Crate is the Perfect Gift for Teachers!